Here at Sycamore Terrace Apartments, we make sure to create a community our residents in Temecula would gladly call home. This is why we put an effort to bring people who live here together to socialize, especially when there are important occasions to celebrate. Some of the previous festivities we’ve had in the last months are Popsicle by the Pool Month and the Resident Appreciation Week. This October, the staff are pulling all stops to throw a “Halloween Magic” party for both the kids and their chaperoning parents. The party will be held on Sunday, October 23rd from 11:00 AM to 12:30 PM. Those who wish to join in the fun should come to our clubhouse just a few minutes early. The highlight of the event will be a magical act from Amazing Dana. Residents who have attended other parties like this before may remember him as he has performed for us in the past. Guests who show up will also get their own goodie bags filled with sweets and candies. 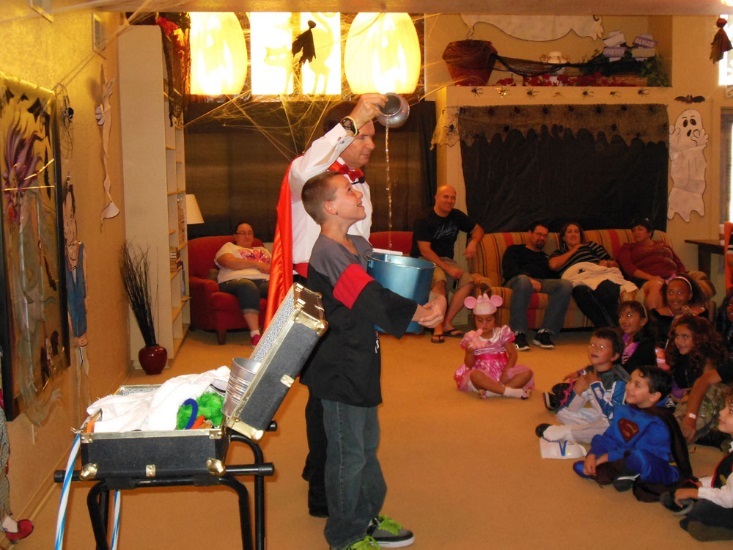 The magic show isn’t the only thing in store for our younger residents either. After all, what’s Halloween without a good old fashioned costume contest? The winner of the contest will, of course, go home with a special prize from the staff. It’s a surprise but we guarantee that it’s something worth dressing up for. This Halloween party isn’t just our way to give the children a fun outlet but also to celebrate the milestones we have reached. We haven’t organized a Halloween party like this for two years now due to the remodeling we have been completing in the clubhouse and elsewhere in the community. The complete remodel has transformed areas like the living room and the kitchen to make residents’ stay more convenient. Needless to say, we are excited to bring back this tradition. Sycamore Terrace Apartments is a 13 acre community that offers large one and two bedroom apartments in Temecula. Our apartment homes are newly remodeled, fully furnished and come with central heating and air conditioning. We also have 2 pools, spas, a basketball court, a tennis court, a sand volleyball court, a clubhouse and a fitness center to make residents’ time here more enjoyable. Our apartments are also conveniently located right in the heart of Temecula, giving access to many amenities in the area.